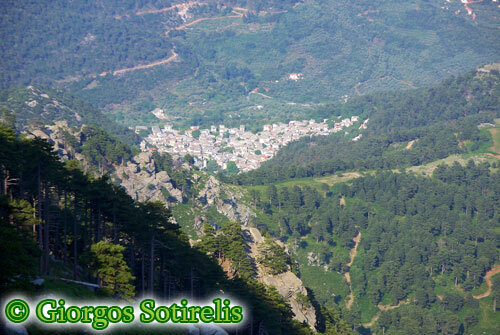 Our charming traditional village of Panagia is nestled in a mountainside about 300 metres above sea level. Come to Panagia for your holidays and enjoy the coolness of the mountain air and a tranquility that is perfect for a holiday of peace and relaxation. From Panagia you will have quick and easy access to both the sea and the mountains, giving you the full and ultimate experience that Thassos has to share. 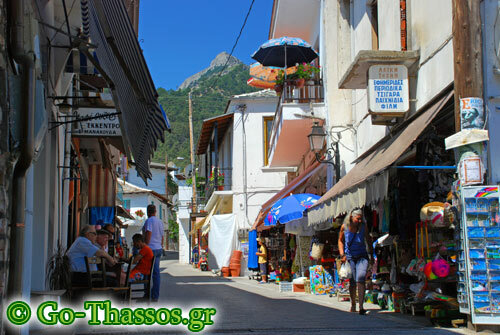 The picturesque town square is the starting point of touring Panagia. You will find cafes, restaurants, grills, mini markets, bakeries, pastry shops, souvenir shops, a pharmacy and various other places scattered throughout the village. 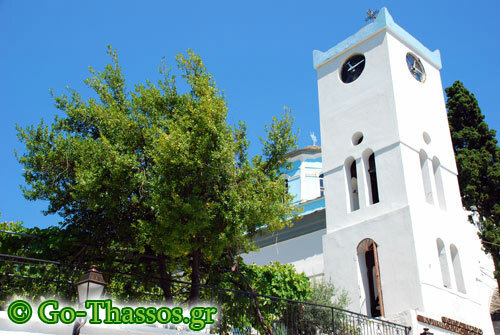 Some beautiful sights of the village that are a must-see are the 'Church of the Assumption of the Virgin Mary' and the 'Square of Three Springs'. 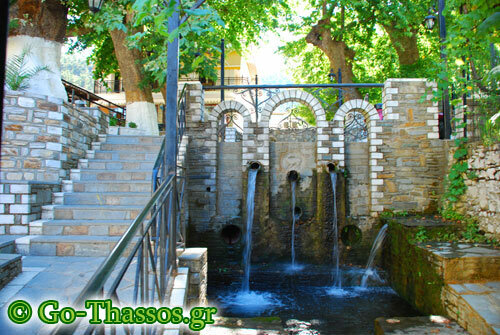 The ever-flowing mountain springs pass through the village through scenic canals and the waters are always clear and cold. Because of the unique location the village was built in, visitors have instant access to footpaths that circle the outskirts of the village offering wonderful panoramic views. If you are up for a more challenging walk, take the mountain paths up as high as you desire, maybe even to the peak of Mt. Ipsario! 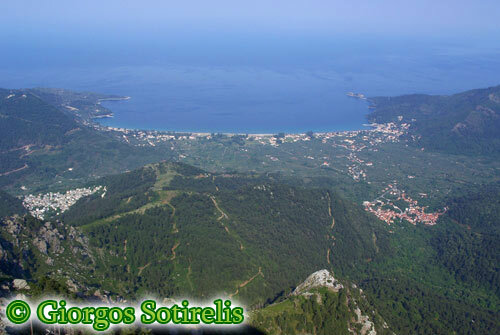 This majestic mountain is the largest and tallest on Thassos. At its peak, Mt. Ipsario stands 1.204 metres tall and offers the most breath-taking view of the entire island.